The Fate of Inbox has been predetermined by Google. The famous email client service Inbox will be discontinued after March 2019. After all the speculations and rumors Google has finally put the last nail in the coffin. Google initially released Inbox as an invitation-only mail client. Later on, it became one of the most popular and most used email client service (second only to Gmail). To be honest with you, people saw this coming mile away. Inbox was never intended to be the replacement for Gmail. In all, its entirety inbox was an experimental service where Google launched experimental features first (before adding them in Gmail). Still, it feels sad as people like me were in love with Inbox. R.I.P Inbox, you will be remembered (2014-2019). Why is Google Killing Inbox? I am personally a huge fan of Inbox by Gmail. Its intuitive and time saving features made life a lot easier for me. Bundling items, pinned emails, snooze are some of the most sought after features of Inbox. All these made Inbox look and feel way ahead of its time. Then, why is Google killing it you may ask. Well, it’s actually quite simple. Google has simply refocused on Gmail. 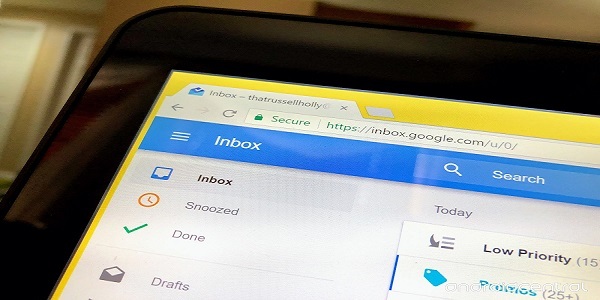 With the recent overhaul of Gmail, it’s obvious that Google has prioritized Gmail over Inbox (Not to mention all the features that were plucked straight from Inbox to Gmail). Also, having two services that serve the same purpose is kind of redundant in my opinion. Related: Did you know that Google Pixel 3 Specs are leaked? Read all about it in the linked post. Why is It Not as Bad as It Seems? Now you might be wondering, how on earth can this be a good news for an Inbox user like me? Trust me, I asked the same thing to myself. So, allow me to explain what I think of the whole situation. The best thing about Inbox that made inbox better than every other email client is automation. Inbox is smart enough to sort every email by category and bundle them together. This makes going through a big pile of email much easier. You can go through them however you see fit. Smart replies, snooze and every other feature that you and I love and use every day are either already ported to Gmail or coming really soon. Now let’s talk about updates. Recently Gmail has received a bunch of updates. UI is much cleaner and under the hood performance is also great. Whereas, updates for Inbox has been kinda stale. I can’t recall the last major update I got for Inbox. This implies that Google is serious about Gmail and also ensures future updates and improvements. Furthermore, Google has made a transition guide for those who prefer Inbox over Gmail. This makes the learning curve must less stiff and helps the current Inbox users switch pretty smoothly. Remember Technically Inbox is just a skin over Gmail (with added features). So, the discontinuation of Inbox does make a lot more sense. Not gonna lie, I’m kinda divided on this. At one hand I love Inbox on the other what Google is doing makes sense. I’m still mad at Google for this harsh decision. I expected Google integrate machine learning with Inbox and make it even more personal and featureful over time. That did not happen at all. As a matter of fact, Inbox did not develop at all from the old ages. This is really frustrating. Especially unacceptable from a company like Google who can’t speak a single sentence without sprinkling machine learning all over it. My fingers are still crossed despite the recent revolution of Gmail. What are your thoughts on Google killing Inbox all together? Are you bummed out about it? Or do you think this is a step in the right direction? Feel free to post your 2 cents on this matter in the comment section below. I’ll be covering it in detail. Thank you!